Verifying that your parts meet all print specifications, including size and geometric tolerances, ensures the accuracy you require. To complement our extensive machining capabilities, Bardons & Oliver utilizes the latest technology to verify your parts. 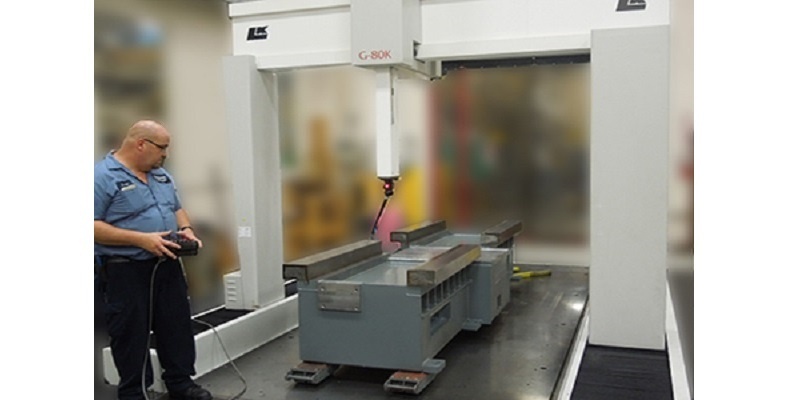 Our large CNC coordinate measuring machine (CMM) is programmed using CMM manager software to guarantee accurate verification of your parts. The large size (115" x 75" x 55") and accuracy of this machine offers unmatched verification flexibility. It works like this: The CMM manager software, a solid-model based program, imports your solid model and produces all of the measurements and simulations to identify and verify the measurements and tolerances of your parts. Once run, full reporting is created and reviewed with you. Start-to-finish, your Contract Machining needs are met with accuracy, quality and our commitment to produce the best parts for your application. Bardons & Oliver sets the standard for quality and accuracy. With an experienced team of dedicated employee-owners, we make sure your work is delivered to spec and on time.